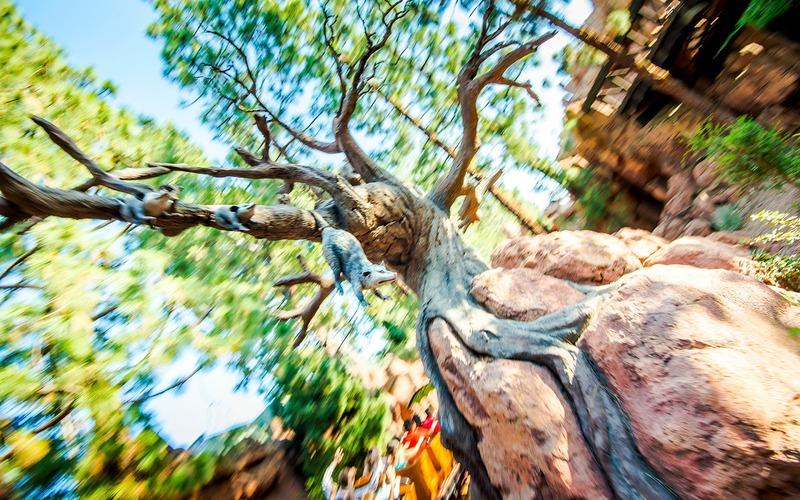 I haven't posted photos from the redone Big Thunder Mountain Railroad in a while. Though it's been a few months since it reopened, it's still as popular as ever, and the ride is absolutely gorgeous, given its over-yearlong refurbishment. Here are some snapshots to enjoy! 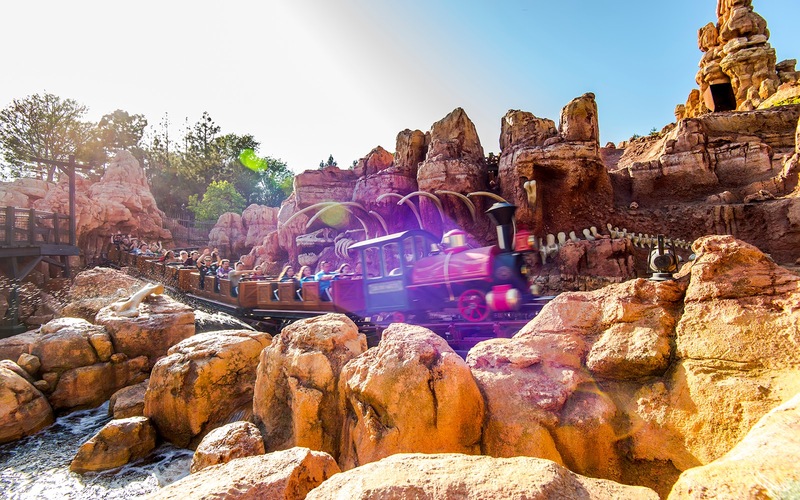 Big Thunder Mountain Railroad splashes down in its climactic finale. Whizzing by some flipping opposum. 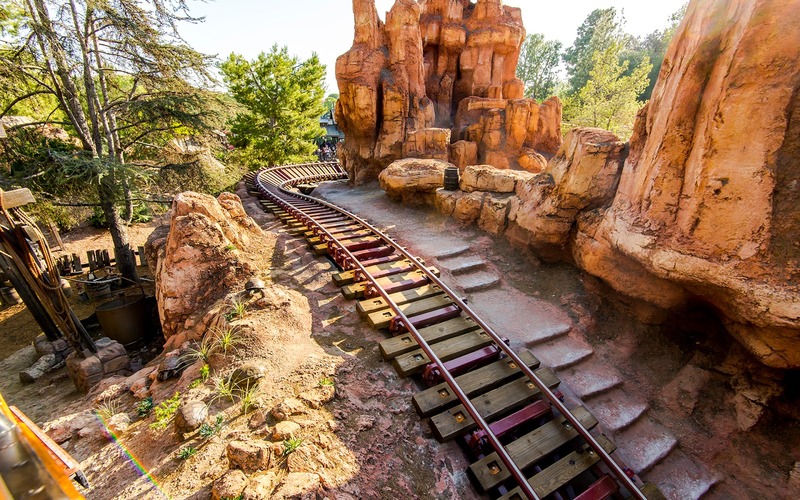 I really liked how the light fell upon the rocks and the track in this shot, looking back, from the second lift hill. 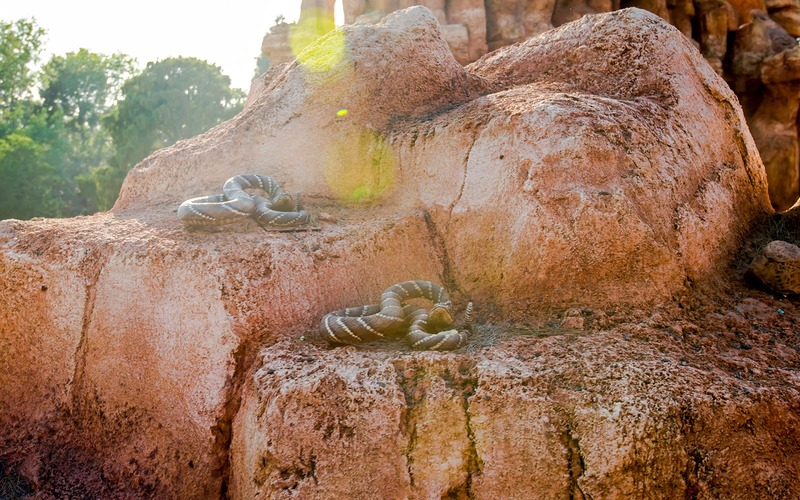 Beware of critters loitering around Big Thunder Mountain! 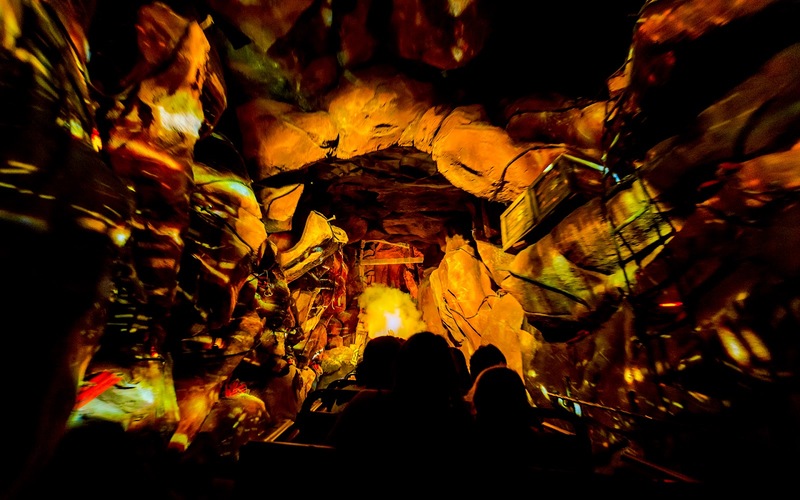 A new explosive scene livens up the final lift hill!